Lewis Street in the Market Common links the well-known DeVille Street, with it’s offerings of electric bike rides, sushi, and yoga, to Johnson Avenue, which leads out to Farrow Parkway. It’s the street with a lot of leafy greenery that borders one of the Market Common’s parking garages. The street is named after Colonel Warren R. Lewis, who was born on Christmas Eve in 1919, in Superior, Iowa. Lewis was at school at Estherville Junior College when World War II began in Europe, in 1939. He abandoned his studies to join the Canadian Royal Air Force, a segue to enlisting with the United States Air Force. He transferred to the United States Air Force in 1941, and was assigned to the 8th Fighter Group; this placement marked the start of his long and illustrious career with the U.S. military. Lewis was stationed at Milne Bay, New Guinea as a P-38 fighter pilot in the latter years of the war. In 1943 he was reassigned to the 431st Fighter Squadron, 475th Fighter Group, as a first lieutenant. He was subsequently reassigned to the 433rd and promoted to captain. He also saw combat in Italy with the 82nd and 31st Fighter Groups where he flew P-51s in addition to P-38s. He became a fighter pilot “ace” after he shot down a Zeke, one of Japan’s premier fighter aircraft, in 1944. 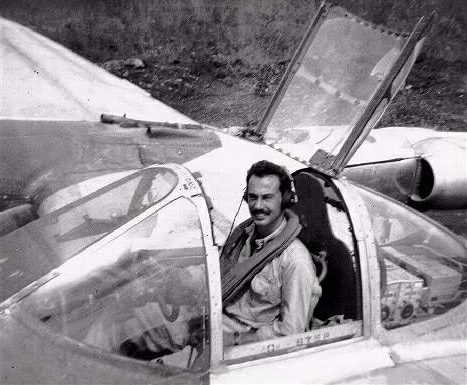 It was recorded that throughout his military career, he shot down 7 aircraft in all, with more logged as probably shot down or damaged. He was promoted to major in 1944, and shortly thereafter squadron commander of the 433rd. In 1944, he was rotated back to the states for a break, and returned to service in 1945. Lewis was promoted to colonel in 1959. He served a combat tour during the Vietnam War where he was stationed at Tuy Hoa Air Base, Vietnam. He also commanded the 31st Fighter Wing at Aviano Air Base, in Italy. Lewis was given the post of base commander of the 354th Tactical Fighter Wing at our very own Myrtle Beach Air Force Base in the 1960’s. In September of 1971, he retired from the Air Force. Lewis logged a total of 1,171 combat flying hours, flew 591 missions and was awarded 27 Air Medals— 3 Distinguished Flying Crosses with 2 Oak Leaf Clusters, and two Legion of Merit medals with 1 Oak Leaf Cluster. Colonel Warren R. Lewis was said to have made a positive impact on others both in his military and civilian life. He was noted as a family man with a kind heart, who loved to golf and fish. Colonel Warren R. Lewis died on January 13, 2006, and is buried at Fort Sam Houston National Cemetery, San Antonio, Texas. To see last month’s edition of Market Common History, click here!